The Northern Sea Wolf was anticipated to begin sailing a direct route between Vancouver Island and the Central Coast in spring, but now BC Ferries says the service won't be ready until mid-September at the earliest. A promised direct ferry service between Port Hardy and Bella Coola has been delayed for another couple of months, meaning it won't be in place for the summer tourism season. 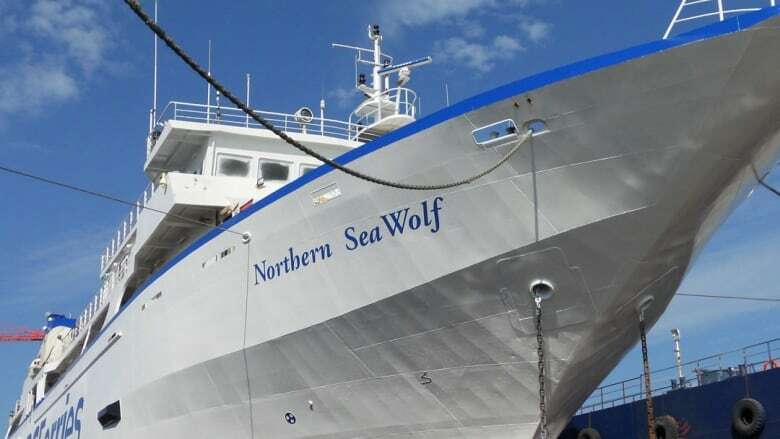 The Northern Sea Wolf was anticipated to begin sailing the route between Vancouver Island and the Central Coast in spring, but now the service won't begin until mid-September at the earliest. "There is quite a bit of disappointment around here," said Tom Hermance, president of Bella Coola Valley Tourism. The timeline for the launch of the route has been pushed back several times this summer, and Hermance says the delays are affecting tourism in the region. "It's been difficult because so many of our customers are from Europe and they make their plans early and they have connections, so we've lost a lot of people," he told Carolina de Ryk, host of CBC's Daybreak North. BC Ferries has apologized for the delays and explained in a release that the upgrades and repairs on the Northern Sea Wolf, which was purchased used for the new route, is taking longer than expected and does not yet meet operational standards. A second vessel, the Northern Adventure, will be deployed for direct sailings from Port Hardy to Bella Coola but is not available until Sept. 16 at the earliest. It is set to run until Oct. 11 and then be replaced by the Northern Sea Wolf. Hermance said a lot of businesses in Bella Coola have been gearing up for the summer season, expanding lodging space and promoting the region — especially after last season's wildfires, which hit the area hard. "A lot of people were expecting that this was going to be quite a good year and we've been promoting since October," he said. Bella Coola is not completely cut off without the direct ferry to Vancouver Island. It's accessible by road — albeit a long drive along Highway 20 from Williams Lake — and BC Ferries runs a service with the smaller vessel Nimpkish, which has room for 12 vehicles and 95 people, including crew. Hermance says what should be a 10-hour journey on the Northern Sea Wolf becomes a 16-hour trip on the Nimpkish and that ship has been arriving mostly empty. "We've been really putting a lot of our eggs into this summer basket and it has not been easy," said Hermance.